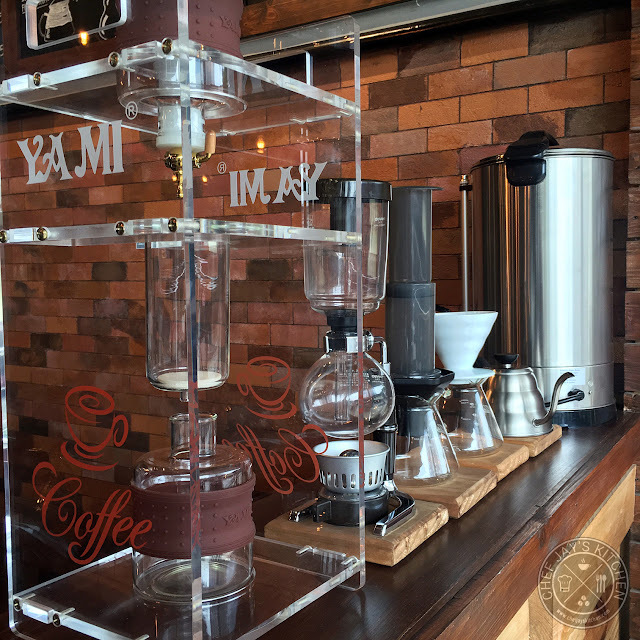 Brewing a great cup of coffee at home is fairly simple. If you have a bag of freshly roasted coffee beans and the proper brewing equipment, you can whip up a delicious cup in less than 10 minutes. Why settle for mediocre tasting brewed coffee, or worse instant coffee, when you can have a barista-quality cup of specialty coffee every morning? So, here's what you need to start brewing that perfect cup. To start, you need a bag of whole coffee beans within 2-3 weeks of roasting for coffee beans at peak flavor. After that, flavor begins to slowly diminish. Grind the beans right before brewing. Don't buy pre-ground coffee, the grounds have probably lost a lot of flavor already. Start at a coffee-water ratio of 1:16 (15g of coffee for a 240ml cup) and make adjustments based on your personal preference. The perfect temperature is around 195°C-205°C, or 30 seconds off boil. Make sure to rinse the paper filter right before brewing, it helps to heat up the cup and remove any 'papery taste' the filter might have. Use a timer, freshly ground coffee is given 30 seconds to bloom with around 30g of water. If the grounds don't bloom, it's probably not fresh. There are a number of brewing tools that coffee geeks love to use, but the truth is you don't need all of them. All you need are a grinder, a brewer, and a digital scale. Everything else do help you craft a better cup, but these are the bare essentials. 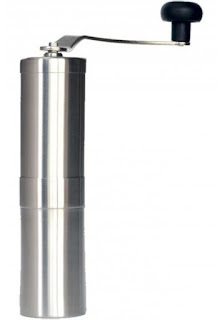 You can get a Porlex Tall Grinder (Php2,400) from Extraction Coffee Co in the Philippines. To brew coffee, you need a coffee brewer (DUH). 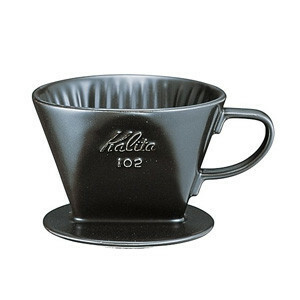 There are plenty of brewers out there, but I recommend a Kalita 102 Ceramic Brewer (shown above) for beginners. The ceramic build helps retain more heat and the in-line 3 hole design helps brew a great cup. It's also very easy to use and clean. You can get a Kalita 102 Ceramic Brewer (Php550) at Coffeenow.ph and the Kalita 102 Filters (Php250) from Extraction Coffee Co in the Philippines. 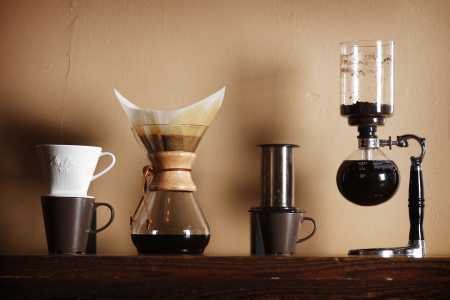 Alternative Product: You can purchase a Hario V60 Brewer Bundle from Lazada for Php 2,400. A digital scale takes the guesswork out of the brewing process and allows you to brew with precision every time. Professional baristas use a scale to measure the ideal coffee-water ratio and this allows them to replicate the perfect recipe every time. 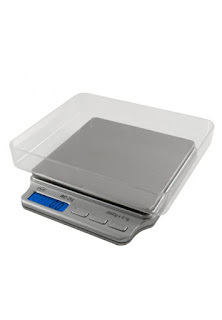 I use an AWS 2-kg Digital Scale (shown above) but you can also get the more expensive Hario V60 Drip Scale if you prefer a more aesthetically pleasing scale with an in-built timer. You can get the AWS 2-kg Digital Scale (Php1,950) and a Hario V60 Drip Scale (Php3,600) at Extraction Coffee Co in the Philippines. You can also get cheaper digital scales from Lazada. If you want to be better at coffee, check out the tools that more serious coffee drinkers use. Fun Fact: On coffee beans, did you know that the Philippines and Ethiopia share 3 distinct traits for growing terrific coffee? When it comes to coffee, don't settle. Save your friends from a lifetime of bad coffee by sharing this article. It's probably obvious, but I would correct the coffee-water ratio to 1:16 instead of 16:1. I didn't see that! I hope readers didn't start using that ratio. I corrected it to 1:16. Thanks Dawson!